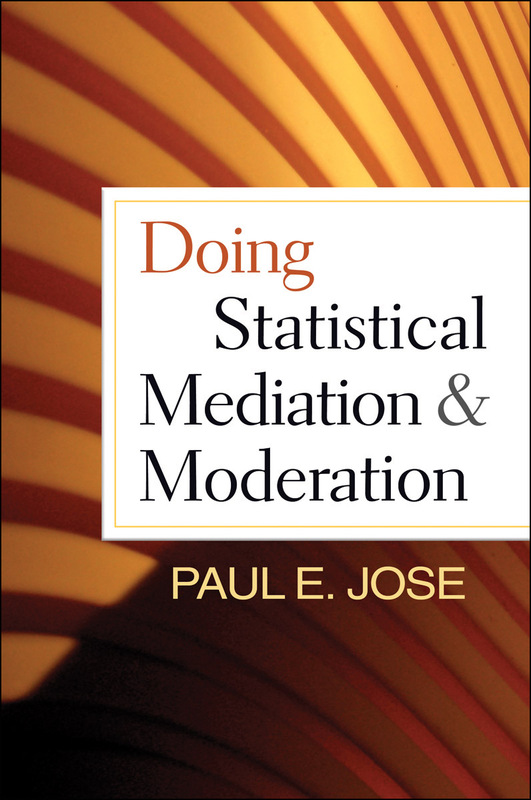 Written in a friendly, conversational style, this book offers a hands-on approach to statistical mediation and moderation for both beginning researchers and those familiar with modeling. Starting with a gentle review of regression-based analysis, Paul Jose covers basic mediation and moderation techniques before moving on to advanced topics in multilevel modeling, structural equation modeling, and hybrid combinations, such as moderated mediation. User-friendly features include numerous graphs and carefully worked-through examples; “Helpful Suggestions” about procedures and pitfalls; “Knowledge Boxes” delving into special topics, such as dummy coding; and end-of-chapter exercises and problems (with answers). The companion website provides downloadable data and syntax files for the book’s examples and exercises, as well as links to Jose’s online programs, MedGraph and ModGraph. Appendices present SPSS, Amos, and Mplus syntax for conducting the key types of analyses.